Lupines grow wild throughout Maine blanketing roadsides and filling ditches with color in late spring and early summer. Although the wild version of lupines are typically shades of white, pink and purple, cultivated versions include brilliant red and shimmering yellows. The lupines above are wild lupines that I transplanted to my flower bed. Location: Lupines prefer full sun for 6 to 8 hours a day, but will grow in partially shades areas. Soil: Lupines prefer cool, moist, slightly acidic soil with good drainage. Till to a depth of eight to 12 inches and remove all foreign objects from the soil. Amend with a generous layer of compost or aged manure and work it into the top six inches of soil. Add peat moss to the mixture to increase acidity if necessary. This will be your permanent bed for lupines. Planting: To start your lupines, you will need to prepare soil in a shaded are. Plant the lupine seeds to a depth of ½ inch and cover with soil. Firm down lightly to secure the seeds. Water to moisten the seeds and keep the area moist until seedlings emerge in 14 to 28 days. You will need to grow the young seedlings in shade for the first summer and transplant them to a sunny location in the fall. As an alternative you can dig up wild lupines and replant them in your garden. Make sure you have the landowner's permission before digging wildflowers! Watering: Water once or twice a week to keep soil evenly moist allowing it to dry slightly between watering. As a rule, if the soil feels dry to the touch one inch below the surface, it is time to water your lupines. Transplanting: Burpee Seed recommends transplanting your seedlings to your permanent location in the fall. Water well until seedlings are established. Although your lupine plants may not appear to grow at this time, they are developing a strong root system to support next year's blooms. Blooming: Lupines typically do not bloom the first year, but with proper care, they may reward you with a flush of blooms by fall. Blooms will increase the following year and your lupines should be in full bloom by May or June. 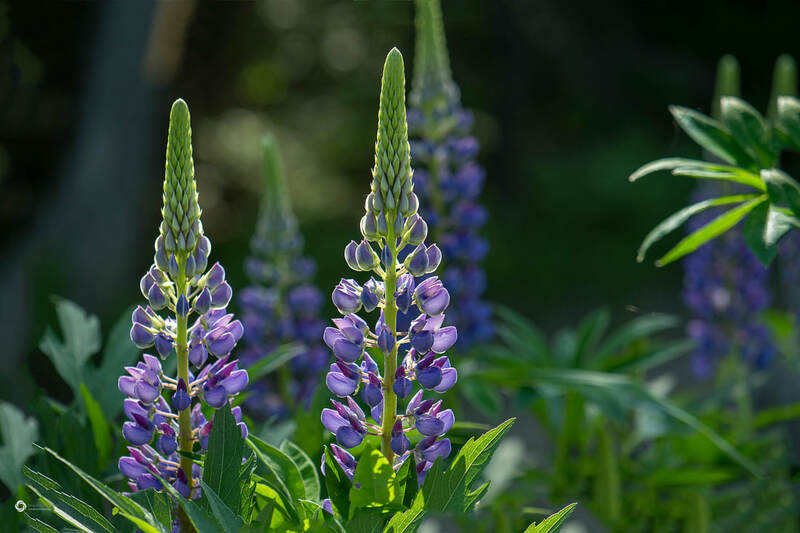 Pruning: Prune lupine blooms back the ground level once they have faded and you may be rewarded with a second flush of blooms later in the season. Cut flowers: Lupines make excellent cut flowers as they are long lasting. Try pairing them with smaller flowers to create a dramatic display of color for the home. Winterizing: Cut lupine foliage back to the ground once it has been killed by the frost. Cover the area with a three to four inch layer of straw or hay to protect them from harsh winter weather.